Following their acclaimed self –titled debut EP of 2014, UK melodic death metallers Countless Skies unveil their new single and an even more potent adventure of sound and songwriting. The track invades ears and psyche with its bold enterprise whilst immersing the senses in a tempest of dark emotion and melodically hued but rapacious atmospheres. Every minute of its handful, makes a compelling proposal and even if personal tastes do not quite get seduced by every aspect of the song, Solace openly delivers on the potential of the band’s last offering whilst uncapping even more anticipation firing promise. Though Countless Skies exploded on the British music scene last year with their EP, the band goes back to its first guise as Hatespire which began in 2009. Formed by long-time friends Ross King and James Pratt, the pair created a three-track demo of intense and ravenously dark music infused by Scandinavian inspirations, the beginnings to what we have now. Skipping forward to last year, Countless Skies as mentioned poked real attention with their four-track EP, which in turn opened fresh opportunities on the live scene for the band across the UK. They won the Bedfordshire ‘Metal to the Masses’ competition and earned a slot on the New Blood stage at Bloodstock Open Air 2015 in its wake too whilst ahead of their first album scheduled for early 2016, the quartet of vocalist/bassist Phil Romeo and drummer Nathan Robshaw alongside vocalist/guitarist King and guitarist Pratt, uncage Solace and a teaser for their album which certainly gets the job done. The song opens on an acoustic caress which swiftly has ears and thoughts involved, especially as the elegance of keys joins in with a subsequent heavier and darker wash of imposing tempting. Musically the song continues to seduce with melodic radiance within increasingly volatile air whilst raw, growling vocals add contrasting malevolence and causticity. For whatever reason, the coarse lure of vocals found a less successful reception with the appetite compared to the epically aired and feverishly inventive nature of the sounds but the clean roars midway into the encounter certainly hit the spot upon their emergence. As ever personal tastes get involved in all things whilst allowing sight of what will appeal to numerous others, and all aspects of voice and hostile throat expulsions will certainly find welcome reactions with a great many more for sure. The fascinating sounds continue to flow and explode through ears, the song varying its scenery and design with constant frequency and ease as guitars and keys bewitch in a just as pungent dramatic union within an uncompromising rhythmic cage. Bands like Dark Tranquillity and Insomnium are suggestions as Solace provides escape for and trespass on body and emotions whilst laying sizeable bait to band and impending album for fans and newcomers alike. Their last EP raised a stir but expect bigger eruptions as Solace grips ears. The self-released Solace is out now! Though it ebbs and flows in the strength of its persuasion at times, there is no escaping that Somnia, the new album from Canadian melodic death metallers Laika is one compelling and thrilling encounter. It may not seemingly be bursting with open originality, the old school breeding of their style driving the creative tempests making up the album, but there is a specific drama and adventurous enterprise belonging to the band flowing through each fresh and seriously captivating persuasion that begs different. It is occasionally not as startling in places as it is elsewhere and maybe should be overall, but Somnia is certainly an impressive and lingering encounter ensuring that the name Laika will not just known for being that of the name of the Russian dog who became one of the first animals to travel to space. Formed in 2009 with the name inspired by that hound, the then sextet soon drew strong local underground attention with the release of their full-length demo Crafting The Cataclysm the following year, and a live presence which has seen them play with the likes of All Shall Perish, Kataklysm, Necronomicon, Skeletonwitch, Abysmal Dawn, Septic Flesh, and Unleash the Archers over the past few years. The release of the Somnia EP in 2011 was subsequently followed by the band taking two years out to create and work on their debut album. Produced by the Winnipeg quintet, mixed and mastered by Ryan Forsyth, Somnia provides a striking and imaginative new assault for the band, one seeking and easy to see finding a more intensively crowing spotlight. The release opens with Restless Mind, a brief instrumental which initially strokes the imagination with evocative piano drama against a ticking clock before expanding with a wash of similarly coloured keys and elegant harmonies. It is a gentle and intriguing, if not startling, start which leads into the instantly imposing Escalation of Terror. It is a gripping entrance with riffs and rhythms offering hungry energy and intent straight away. Ears and appetite are ignited further as the bait intensifies with a muscular torrent of feverish grooves and vocal causticity crossing the intensive presence of the song. The keys of Steve Tedham bring rich and expressive hues to the great tempestuous intent of the track, their warm beauty a transfixing contrast to the raw scowls of vocalist Jordan Dorge and rhythmic provocation set by drummer Blair Garraway. It is a riveting blend which only grabs greater potency and suasion as ridiculously flavoursome and contagious grooves cast by guitarist Ian Garraway are matched by those throatily laid by the bass of Mike Mason. It is a sensational incitement to body and emotions, a creative roller coaster which never dips below the exceptional on its way to setting up a hungry anticipation for the rest of the album. The title track is the first to feed that greed, its first touch rugged in riffs and beats but seductive in keys sculpted melodies. That evolves into a more expansive and less hostile landscape, though there is still a busy imposing air to the encounter. Guitars proceed to cast a sonic weave of enterprise and melodic tenacity across the still sinew driven terrain whilst the bass at times almost ventures into a post punk repetition and invention which, along with spicy grooves and vocal savagery, brings fresh character and intrigue to the enthralling track. Both Fidelity and Caligae A Galea keep the creative and satisfaction levels high, the first stalking ears with a predatory attitude and gait but one fired in sonic invention and seductively inhospitable toxicity. As its predecessor, the track ripples with eclectic textures and imagination soaked ideation, defying expectations and binding eager attention from start to finish. It’s almost exhausting revelry and bold tapestry of sound is swiftly matched by the second of the pair. Opening on a heroic groove, its lure potent caped crusader like coaxing, the song growls and prowls with infectious charm and intimidation. There is a menace to it which Tedham’s craft can only wrap not defuse and Dorge’s grizzled tones easily accentuate. The song is soon providing an addictive canvas of sound which maybe is death metal based but just as pungently entwines a mass of flavoursome tendrils from the likes of noise and psyche rock to post punk and progressive metal. It is a stunning protagonist for ears and incessant lust for the passions. The album’s pinnacle is followed by the enchanting instrumental Dream of Nothing, a magnetic and reflective slice of melodic beauty. Dark bass emotions lie easily with the sultry charm of keys whilst rhythmically the song walks with a firm and steady but restrained hand. There are also raw guitar crafted flames which intensify the expressive atmosphere and climate of the song, everything uniting for an immersive emprise of sound and imagination. The track also brings respite for the senses though they are soon under demanding pressure as the punk fired assault of The Immortal takes over. For all its ferocity and abrasing presence, it is another song unafraid to spring a web of melodic and expressive beauty in its successful trapping of ears and attention, and though in many ways it takes longer to persuade than elsewhere, it emerges as a simultaneously bitter and warm buffeting to devour with greed. The final two tracks upon Somnia might not quite match up to their earlier companions, but each leaves no second or note unattended by the listener’s fullest attention. First up Predictions (Tide Bearer) rages and bristles with a merciless graze of sonic bad blood and vocal malevolence, a hostility which wears down the senses with its bruising but still flirts with the occasional melodic seducing. The tracks unrelenting pressure is followed by the exceptional majesty of final track Invaders, a song which sums up the album with its eclectic stock of sounds and spellbinding ideas within a virulent and concussive antipathy. The song is another intoxicating proposition leaving the listener basking in unique temptation and ready to share the glory of album and band. Somnia just gets stronger and more impressive over time, shown by the fact that listening to it again whilst writing this, there are more reasons to argue against the earlier thought that the album is not as startling throughout as in particular certain moments. That gap closes with each venture, proving this is an album wanting more time than most to really reveal all of its consistent thick rewards and that Laika is a band with the potential to sit beside the ranks of Insomnium, Dark Tranquillity, and Amon Amarth. 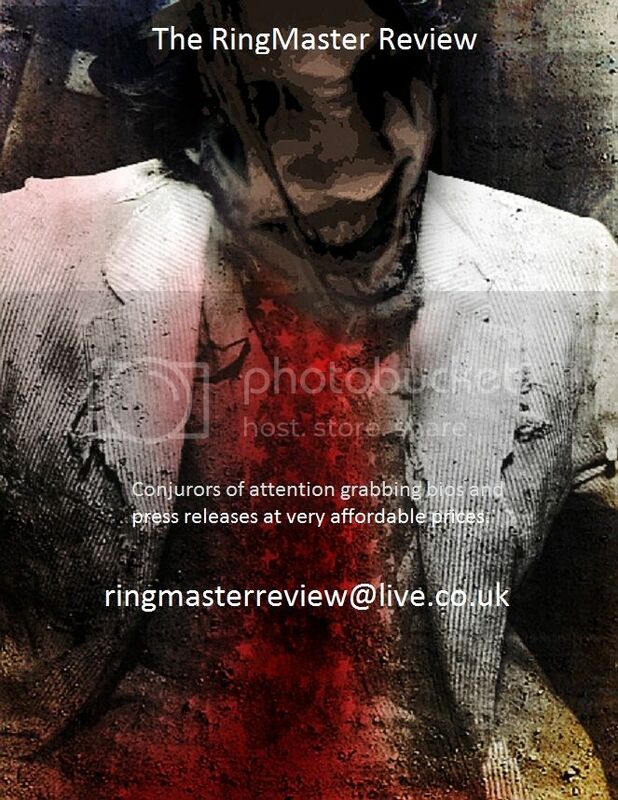 Just recently The RingMaster Review came across an artist and artwork that quite simply left us opened mouthed. From just one piece of work we were fully inspired to find more and as we found more of this great work nothing less than awe broke out. As deep and rich in emotive provocation and imagination as they were in skill and texture the pieces were the first new art in a long time to bring an open reaction. Though a young new talent the person behind OneTwoTree Designs has worked on and graced EPs with great impact and is sure to become a name the world of music especially will have roiling off their eager tongues. Wanting to find out more we grabbed some time from the artist to find out more about him and his astonishing work. First question is simply please introduce yourself. My name is Sami Antero Ahvenainen and I am a newbie graphic designer from Finland. Please give us some background to yourself. Well, I am 23 years old, second year student and I have been interested in graphic designing for over 3 years now. When did art become a passion and important part of your life? What are your influences and artists which inspired you most? The artworks/ illustrations of Travis Smith, he’s a legend and a big inspiration to me. How would you describe your art to newcomers? Dark, mysterious and maybe even… thought provoking? Do you stay with one style or medium or work across many forms? I try to work across many forms and improve my technique with every art piece I create. You also have a love of music, especially extreme metal and other forms of metal and rock, another passion as strong as your art? Absolutely, music has always been there for me, giving me inspiration when I really need it! Nowadays I mostly listen to brutal death metal. Do you play an instrument or make music yourself? Your work is dark and brooding and very provocative, is it a good representation of you as a person? Absolutely yes but I try to avoid going too dark cause that can be depressing at times and that is not a direction I want to take. What inspires your art predominantly? Music and the challenges of life. When designing and creating album covers or working on another ideas for bands do you work closely with them and listen to their music to get a feel of their creations first? Most of the time I work very closely with the bands and they send me clips of their new tunes so that I can get the right idea for the art, it is all pretty cool and I appreciate it. Is there a similarity do you think to how artists and musicians are inspired in their craft and how those seeds for compositions are developed? I think so yes, when I hear an amazing song it inspires me to create something epic and I’ve actually heard that my artworks have inspired bands to improve their music and step up their game…so yeah. Like a song with depth and texture your art unveils new layers and shadows each time you look at it, there is not just an instant appeal but a story or darker avenue to explore. It is important to you that your pieces have a breath and entity of their own? Absolutely yes, I want my artwork to stand out from the rest I don’t want to create two pieces that look the same; I’m always looking for something new and refreshing! American band Black Sky Ashes is a big fan of your work I believe? Yeah, we worked very closely back in late 2011 and early 2012 when they released their first EP “your rain” I hope to work with them again someday; Travis Neal is a cool guy. Give us some of the other bands you have graced releases of with your work? At the moment my biggest would be the artwork I designed for Dishearthed and their EP “Praise the fool” it is a stunning artwork and I’d say it could be my finest art piece to date! If there was one band or project you could choose to create for, what would it be? Insomnium! I’ve been a big fan of this band for a long time and it would be a dream come true for me if I could create some art for them. Now, and this still surprises me given the amazing quality and skill of your art, you design and create stuff for bands etc for free? Yes, my artworks are 100% free. No joke! Was this your intent from the start or just a reflection on the fact there just is not the money around within music and upcoming bands? Yeah, in the beginning my art was not free but as time went on I figured that it is more inspiring/ easier for me to create and help bands if my art was free. A big “thank you” from the band is a good enough reward for me, I love music, I want to help out and this is a great way for me to do so! One imagines you are over loaded with requests for your work but where can people get in touch regarding the possibility of having you create something for them? I always have room for another project if it is interesting enough and stands apart from the others, I can be contacted via email onetwotree@hotmail.fi or via my Facebook page, friend requests are welcome! Absolutely not, I love all kinds of music! It is near impossible to pick a favourite of your pieces I have seen but Bride of Darkness and Cursed Moon, as well as a couple untitled ones on your Facebook profile stimulate and evoke stronger thoughts than others. What is your favourite or proudest piece to date? Yes I know like choosing your favourite kid or pet haha. I’d have to say “bride of darkness” also, it just turned out amazing and I even surprised myself! Are you continually coming up with ideas and pieces that lay in wait for the right project whether there are projects in the works or not? There are times when I just don’t come up with anything, but that can be cause of my lack of free time at the moment haha. I can only blame myself for that! Have you ever been lost for ideas when faced with a job, that spark of inspiration too dim and needing extra stoking to bring forth? I put 100% of my heart into every piece I create, if I don’t feel like 100% I won’t even try to come up with anything. I don’t want to create uninspired art that would be a waste of everyone’s time and it would make me feel kinda disappointed later on. What are your ambitions as an artist and for your work? At the moment this is just a hobby cause I’m still in school etc but…time will tell, I’d like to be a pro! Have you had exhibitions? I guess your Facebook profile online is a kind of one? Once more many thanks for talking with us. One final question, we saw you have a couple of wrestling inspired pieces, another love and who is your favourite sports entertainer? Edge, amazing in the ring, good mic skills and charisma! Shame that he had to retire. Since their formation in 2009 Manchester quartet Betraeus has beaten a strong and impressive path with their progressive death metal sounds and devastating live performances, pulling in ever increasing acclaim and eager support. The release of their debut EP Towards The Sun via Siege Of Amida Records should cement their already immense foundation and thrust the band far into the world with its unbridled destructive power and distinctive varied ingredients. The two years since the young band started to unleash their creativity has seen Betraeus from laying waste to their local area going on to slay audiences on the New Blood Stage at the 2010 Bloodstock Open Air festival and this year inspire and impress with one of the events stunning performances on The Pepsi Max stage at Download Festival. Towards The Sun caps off a great year with its release across all digital platforms and is sure to get the pulse racing for not only fans of the likes of Opeth, Death, Unearth, and Insomnium but all metal fuelled enthusiasts. The foursome of vocalist and guitarist Christian Sykes, lead guitarist Eddie Johnson, bassist Benjamin Edwards, and Paddy Monaghan on drums, strike hard and relentlessly with crippling riffs and menacing intensity. Their use and fusing of elaborate and intricate progressive guitars, tempered melodies, and emotive atmospheric sounds takes their music into a sphere of its own, giving the band a uniqueness that few come near to sound wise. The title track opens up the EP, an epic in length and stature, the near ten minute length unveiling the band’s might and creative skills. A rampant array of punishing riffs, senses splitting rhythms, and haunting harmonies to immerse deep within, the track displays scant regard for mercy as it ruptures the ear with its diverse and intense sounds. Even the melodic passion led break where Sykes switches from his growls to an emotive clean attack twists the senses with its striking effect. The song is so varied that to be over critical one could accuse it of losing a little focus in its flow during its length especially when put against the edited version of Towards the Sun which closes the release which feels tighter, but that is being picky. ‘Frustrate Recluse’ comes next with a slightly less varied approach and with a firmly favoured death metal assault. 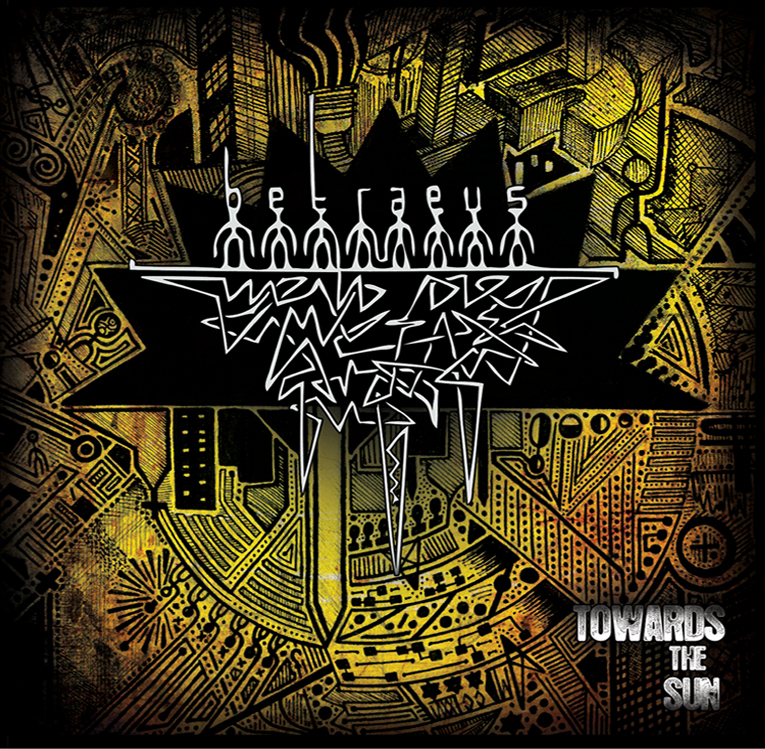 Ferocious and intent on damage Betraeus leave nothing standing in their wake with Sykes snarling out the lyrics over the bestial and angry sounds. Though maybe not the most creative of the tunes on show its urgent aggression and skilful powerful play sees it shine most of all. The variety the band brings is openly evident on ‘Blossom Into The Void’, a partly acoustic track with engaging and unpredictable play against smooth and expressive clean vocals. With an Opeth flavouring the song shows the band is more than capable of making graceful sounds just as they are in breaking down walls, each direction and spice they use equally effective in commanding their audience. Two lives tracks ‘Obsolete’ and ‘Locust’ complete the release. 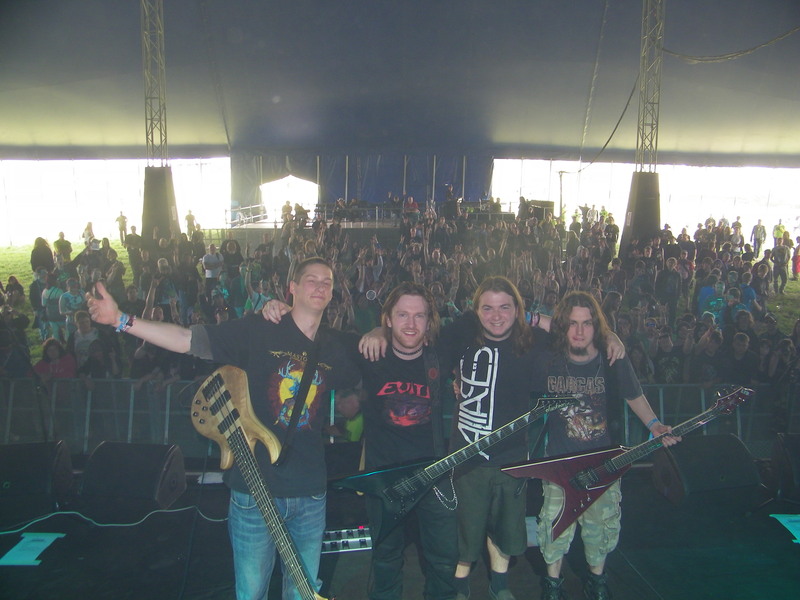 Taken from their 2010 performance at the Bloodstock Open Air festival it is no surprise listening to the songs how much they impressed at the event and Download this year, the evidence that if there is one metal show to attend its one with Betraeus on the bill. Towards the Sun is one of the strongest debuts from any band this year, its diversity and extreme musical skill an essential investigation. The other great thing about the release is if Betraeus are this good now the future promises something very special.